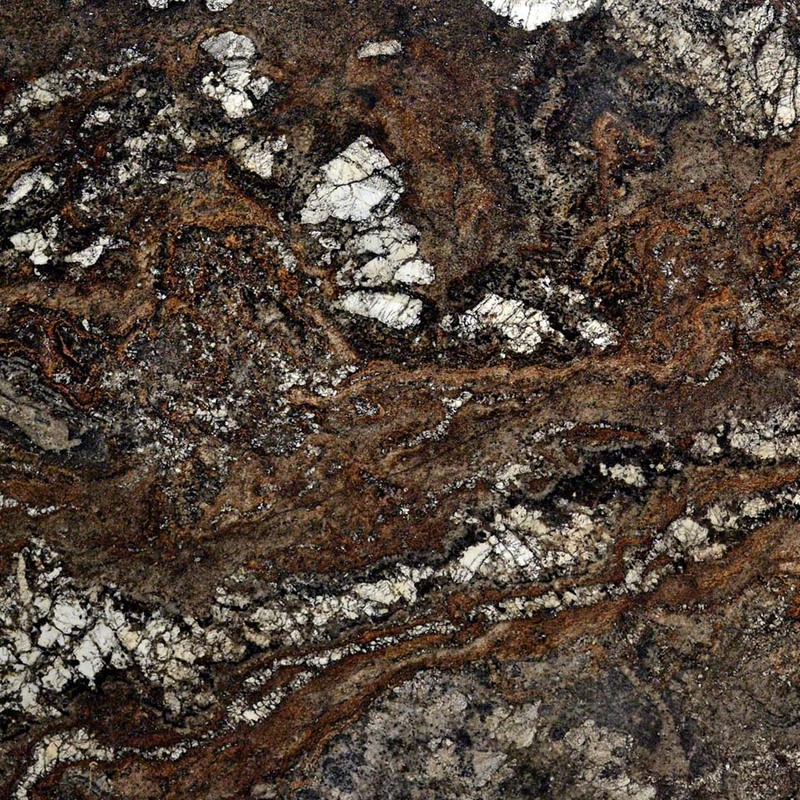 Our bold Amarone granite, imported from Brazil, features a deep, rich pattern of bronze, copper, and black accented by sharply contrasting alabaster fragments. This truly striking stone is a wonderful option for countertops, vanities, fireplace surrounds and accent walls. This stone must be seen in person to appreciate its beauty.